There were 950 preschool classes organized in the 5th and 6th class municipalities, urban poor and relocation centers nationwide. 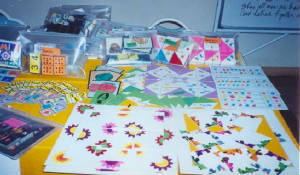 A set of project evaluation tools composed of seven (7) questionnaires/survey forms were developed and finalized, i.e. for Grade I teacher, Grade I pupil, parent, school administrator, ECD coordinator, Medical Officer, Supply Officer. The Readiness Pre and Posttests were administered to sample Grade I pupils in 60 schools (20 central and 40 non-central schools) in June and August respectively. Sixteen (16) BEE personnel underwent the Statistical Product Service Solutions (SPSS) training. A set of monitoring instruments for pupil tracking has been developed. 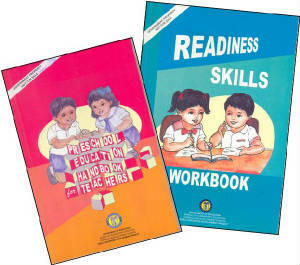 As of December 1, 2004, the DepEd has trained a total of 16,928 Grade 1 teachers on the enhanced 8-Week ECD Curriculum. It has exceeded its targets by 10.06%. The bulk of training activities was conducted from 1999 to 2000 in Region VI, 1999 to 2002 in Region VII and 1999 to 2001 to Region XII. Retraining of 11,228 or 73% of the 15,380 Grade 1 teachers was conducted from 2002 to 2003. Of the 280,616 children who entered Grade 1 in school year (SY) 2003-2004, there were 168,356 or 60% children who had prior experience in early childhood program such as day care, child minding and preschool. Almost all (96.8%) of the Grade 1 entrants in SY 2002-2003 who attended the 8-week curriculum in Grade 1, are enrolled in Grade 2. The Commission on Higher Education (CHED) has approved the inclusion of the 8-Week ECE Curriculum in its course offerings for Bachelor of Elementary Education (BEEd) major in Preschool Education. One hundred eighty two (182) Grade I teachers in sixteen (16) school divisions in nine (9) regions were monitored. 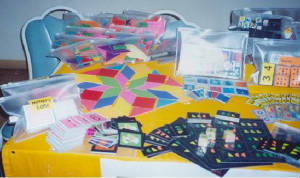 Majority of them implemented the 8-week ECE curriculum as designed. The few who did not follow the 8-week curriculum to the letter had advance lessons since their pupils had undergone preschool before entering Grade I. However, they chose lessons/activities in the 8-week curriculum to enrich their lessons. The project also provided albendazole tablets and iron syrup to Grade 1 pupils. For 2004, there were 80.5% or 54,281 out of 67,432 pupils dewormed showing an increase of 7.7% from the 2003 performance. Also noted was an increase in the accomplishment on the administration of iron syrup from 87.5% in 2003 to 96% in 2004. The National level orientation sessions for ECE Coordinators and capability training of 16 Bureau of Elementary Education (BEE) personnel on SPSS were conducted. A workshop to revise the following materials were undertaken: ECDP Readiness and Evaluation test materials; Preschool Education Handbook for Teachers; Readiness Skills Workbook based on the Basic Education Curriculum; Indigenous Materials; and the Development of ECD Monitoring Tools for More Comprehensive Monitoring of Sub-component of the program. DepEd tried to track down the 2,033 children who were respondents to the said study. However, due to various constraints only about 80% have been tracked so far.